As I touched on in my previous post, we chose an image from our school library to make collage. For the second step of this work we made a hardcopy collage. But in this case we used text too. Again I tried to use grid as a tool. I divided my image as vertical stripes by using grid. But still I paid attention to reference lines of the image. And then, I combined them with the texts. 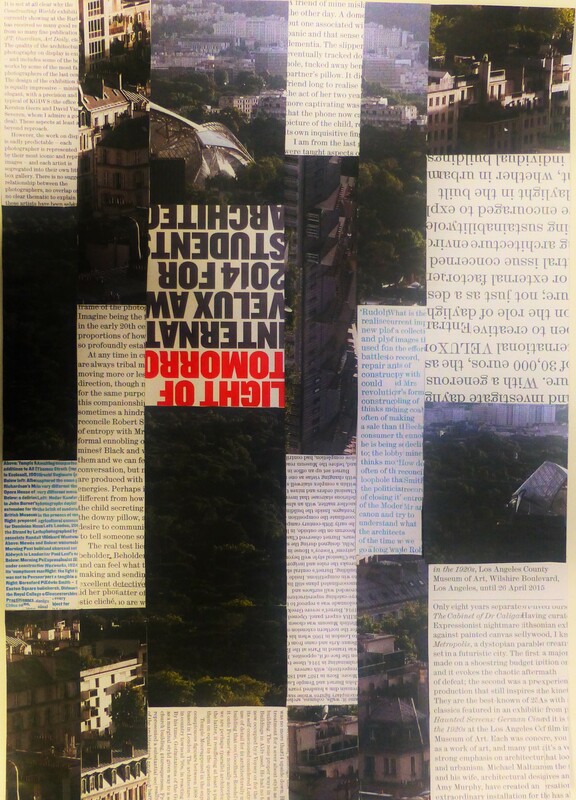 This entry was posted in ARCH 111 and tagged architecture, ARt, collage, design, melisbel, Poster, studio, TEDU. Bookmark the permalink.